Okay. So, I was terrible at snapping pictures this week, but I wanted y'all to see what we were up to during centers because they were so fun! But first, our story this week was Goldilocks and the Three Bears and we heard that she broke our principal's chair and was seen running through the building once. She knocked on our door and left us a surprise...I forgot to snap a pic (again) of the little surprise, but how cute are these little darlins peeking out the door?!? They were so excited! Notice all the girls ran to see if they could catch a glimpse of her. 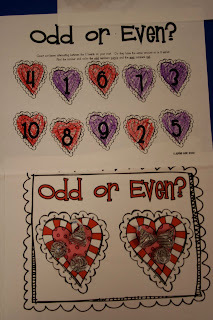 You can find all of these centers plus more in my Happy Hearts Valentine Unit. These look fantastic!! Can't wait to see your Community Helpers Unit and your Presidents Unit. You truly amaze me. Looks like so much fun! 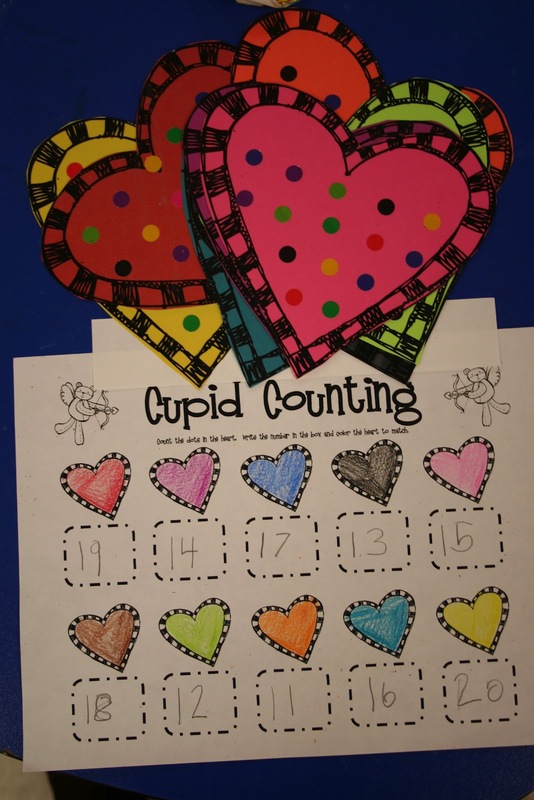 fabulous centers and ideas! I just love reading your blog! Hi Julie! I love your idea about Golidlocks! Can you tell me a little bit more about what you did? 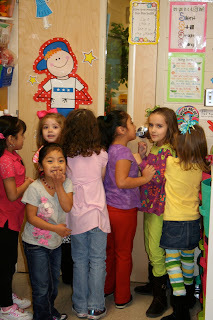 We are deep in our fairy tale unit and are about to start doing Goldilocks for shared reading. Last summer I went to Europe on a grant to explore fairy tales and my kids are eating it up! Your idea would be great! Do you happen to have the questions they ask? I am thinking of a way that I could adapt the idea to my room. Hi Mrs. Lee! 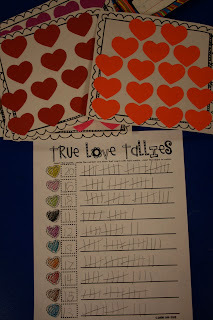 I just posted this am about my valentine centers. Your ideas are great! I like the tally marks the best. That is always a tough concept for my kids. Here is my link if you want to check out a few of my centers this upcoming week. I am about to buy a good bit of your centers and prepare them for next year since this year is almost over and I don't want to change the way I rotate centers, but can you explain how you work your centers best? Are they by the week or two weeks..etc? 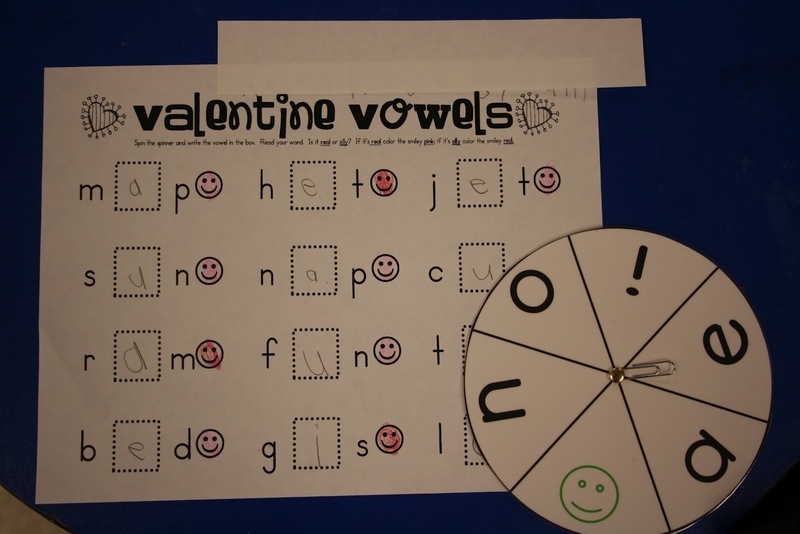 I like to teach by theme but I have to save center time also for teacher time which according to the curriculum we use, goes by a week to week basis. Thanks! 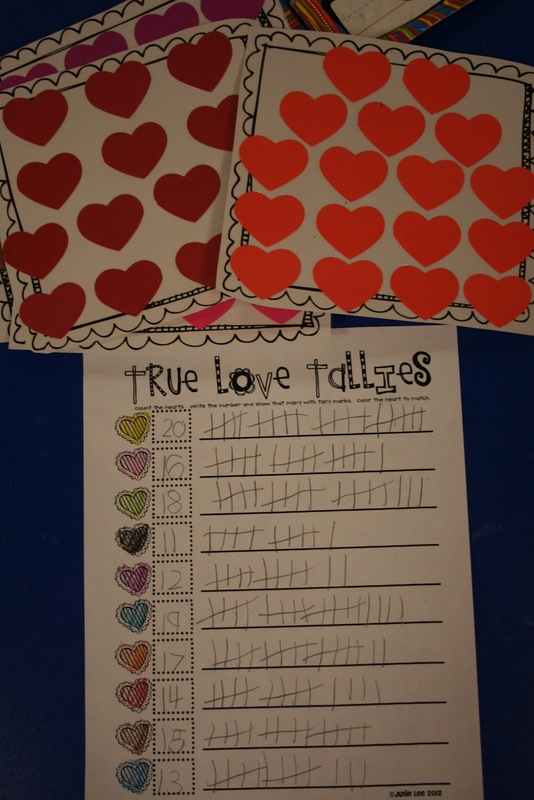 I love you Valentine's Day Centers! 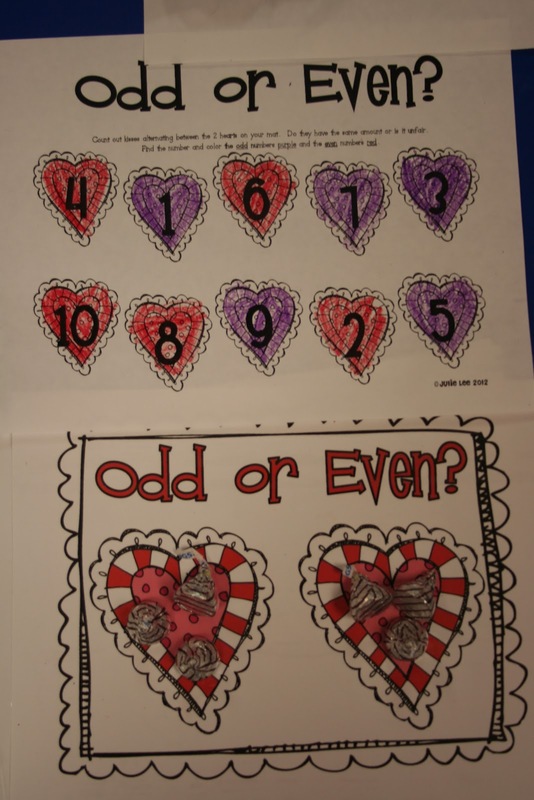 The Goldilocks is super cute too- I would love to know more about how you set this up with your students! This is my first year teaching and would love the printables you used for this as well! Love your Blog! Do you have a TPT account?